February 14th brings a lot of love, sadness, and self-loathing across the world, all at once. Whether your celebrating Valentine's Day, Galentine's Day, or Single Awareness Day, there's a certain mood in outfit you may want to pull off. 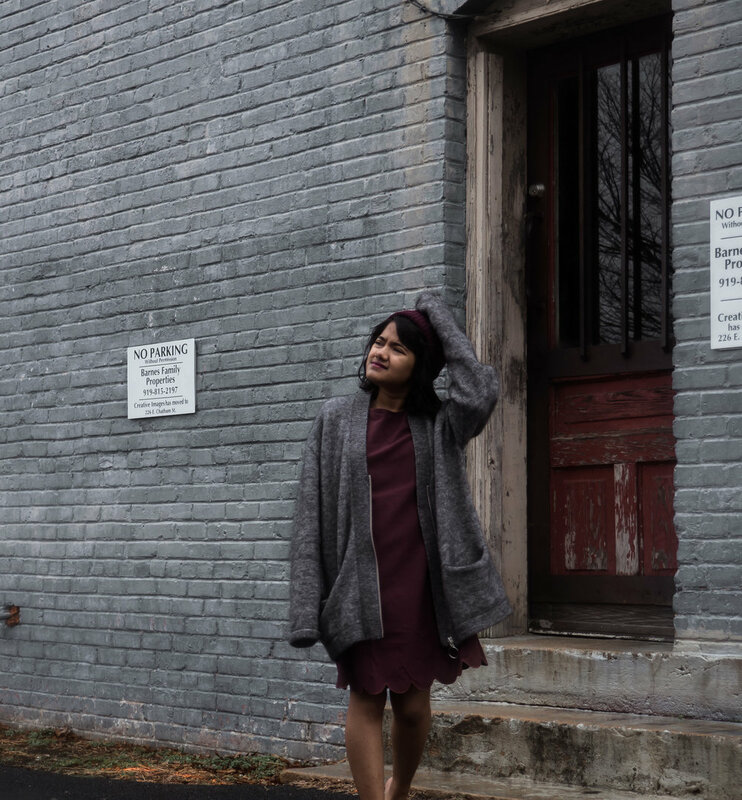 Thanks to Tobi, I've put together three looks that'll fit your mood as the time nears. I like using any excuse to go out for a fancy meal, so Valentine's Day seems like one of the best times to do it. For a Valentine's Day dinner outfit, I chose the Tobi Warm Nights Bell Sleeve Sweater Dress for a weather appropriate semi-formal night. 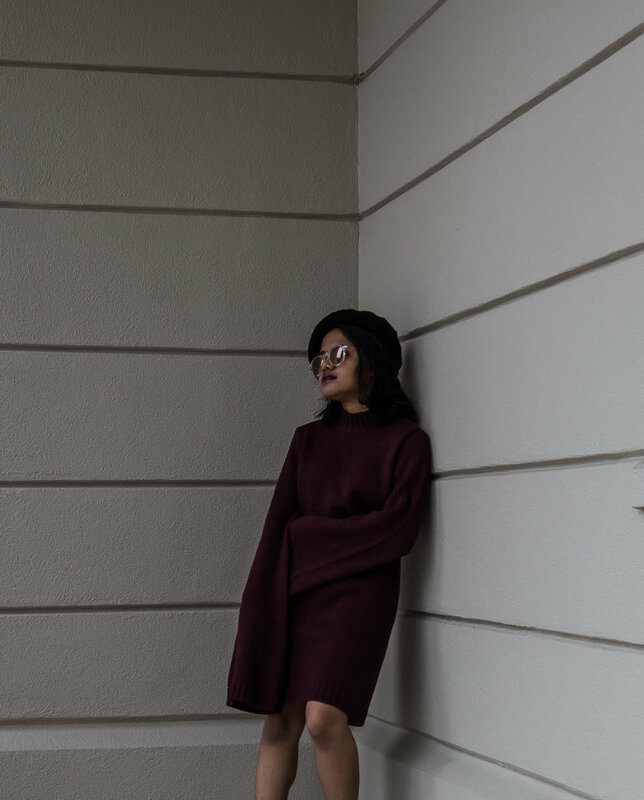 This is in a dark burgundy color and oversized bell sleeves that are cozy af. While any other time a sweater dress can be casual, you just need the right accessories to dress it up. For me, that means choosing a boot that really brings this look together. My favorite Kendall & Kylie boots that are always on point and always gives me a bit more confident and feminity. A simple belt to accentuate my belt is my only jewelry. If that's not enough a beret is always fancy, so there's that. Galentine's Day was coined by my favorite show, Parks and Recreation and it has to be one of the best holidays ever. Whether you're single or in a relationship, there's an excuse to get your best gal friends together, exchange gifts, and have a lot of mimosas. My gals understand comfort and confidence is above all, so we're not trying to impress anyone with short dresses and high as buildings shoes. The Tobi Sweetly Scalloped dress was made a for a fun Galentine's Day brunch. It's a super simple, half sleeve dress with a fun scallop hem. The dress comes in multiple dress that can dressed up or down depending on the occasion. With an over-sized cardigan over and my favorite grey fur loafers, I'm ready for a relaxing and fun brunch with my friends. If you needed a day to make you more aware of your singlehood it's definitely Valentine's Day. Coined by Barney Stinson, Single Awareness Day or S.A.D can go two different ways for you. Black seems to be a fitting color; you can easily be mourning your relationship status in peace or be a prowling black panther or both. The Tobi Carleigh Wrap Skirt is a staple black skirt that is just as versatile as it is stylish. The best part? Since's it a wrap skirt you can make it tight or loose as you need. Great for a night out when you want binge-eat your heart and also look cute. A simple ruffle sweater and tights makes up my all black look. A dark berry lip is a great way to make a color statement for a monochrome look.